Small Multiples was asked by Google Australia to visualise the trends and insights emerged from mobile search data. 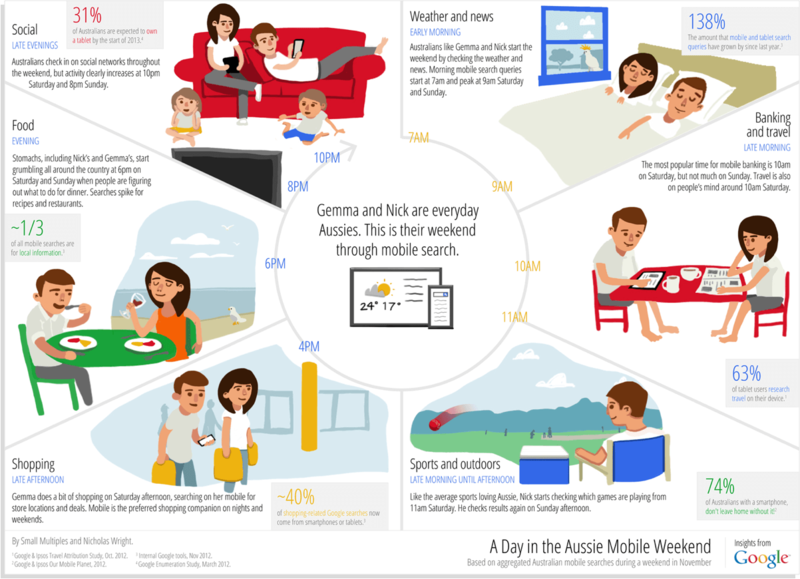 Focusing on the narrative over the weekend, we tell the story of Gemma and Nick and their mobile search habits. Illustrations by Nicholas Wright paint a story of cockatoos, eskies, and the omnipresence of technology in our daily lives. Does your weekend look similar?